Victoria Section Chair David Gregson (left) is receiving the 50th Anniversary banner from IEEE Canada President Bob Hanna. 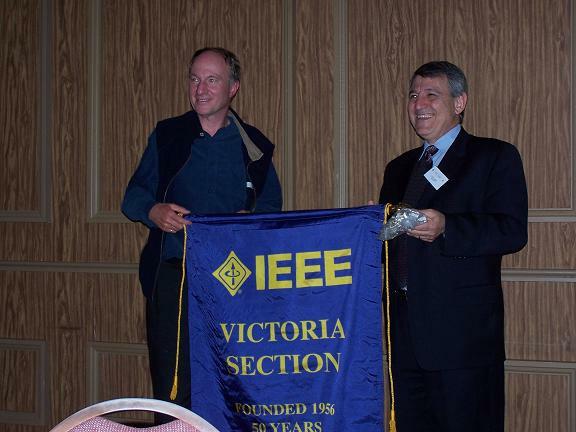 In 2006 the IEEE Victoria Section celebrated its 50th anniversary. The Section was created as a local organization of the American Institute of Electrical Engineers (AIEE) on October 5, 1956. It became an IEEE Section in 1963, when AIEE and its sister society IRE (the Institute of Radio Engineers) merged.